Subject: I NEED YOUR INFORMATION. Thanks for your kind responds, my dear i told you about my plan for an investment in your country and that i want the fund to be secured. Presently i am here in the military camp for peace keeping mission due to the crisis in SYRIA. Secondly i want to relocate with you to start up a good business venture. My Dear friend i need more prove and trust, don' t be angry, because i want to handover my future to you. I appreciate your concern and your willingness so far for assisting me, the most important thing i need from you right now is your honesty and trustworthiness, I choose you in this transaction, based on my present status here in SYRIA. I want you to understand more about my situation here in the military camp, I can only email you from the office, as we are not allow to use mobile phone here, we make use of radio message. I then decided to contact you, hoping that with your advanced knowledge we can be able to work together so that if all things works out for us, we can go into partnership business if you wish. Though it took me time to make up my mind to contact you and offered you this proposal of mine. It is due to the trust i have in you that made me to disclose this matter with you, believing that i am save in your hand, no body knows what i have, PLEASE i am asking you for my safety and security KEEP IT VERY PRIVATE OKAY, i know that God will see us through. Finally, i am suggesting that if we can go into business partnership as time goes on which means that the proceedings from the investment in your country shall be shared equally between the both of us because i do not know much about international business and i am putting my entire Fund to your care because i want you to be in total control of my funds as soon as the fund arrives in your country. Again, do attach as you reply to me your full name and full contact information to enable me give it to the United Nation diplomat who will be delivery the consignment to you. Please i will like you to send me your full data such as. On reply of your mail with your above mentioned details, i will contact the company where the box that contains the fund is kept and give them your details so that they will start the journey to deliver the fund in your place, hand to hand (Face to Face) please do not allow the company to know that it is money that is in the box, Looking forward to read from you. Take good care of yourself and remain bless. Thanks for your respond and your details, getting reply from UN Security office here for the deliver of the box to you immediately without wasting any further time, BUT the UN security office said that they sent the box to an insurance security company in England United Kingdom for safe keeping due to the gravity of attack and crisis here on daily basis because they need to protect the box as it was registered under high premium insurance policy. They have send a letter to the Security company and they also instruct you to contact the Security Company and give your details to them for immediate delivering of the box to your home. Right now, i want you to contact this mentioned Security company in London with below details given to me by UN Security Office. contact the security company by email address given below. 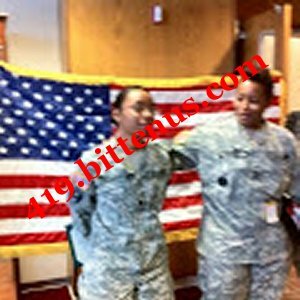 When you contact the insurance company, tell them you are the partner of ( USA Military officer Sgt. Anile Wilson Jack ) and you want to know the possibility of delivering a consignment box contains family items of Sgt. Anile Wilson Jack to your country, I will also send them an email, i want you to understand that the funds inside the consignment box will be under your control until i complete my services and join you soon. Please always put me in your daily prayers because from time to time my military colleagues are being attacked by car bomb and insurgents are also attacking us and some are dying instantly, right now i am living in fear, so do all possible to contact the security company now, Dear, please please please please for security of the funds, do not allow the insurance company or the person who is coming to deliver the box to your house to notice that the treasure box contains funds inside, please keep everything for yourself because everything concerning this consignment box is intact between us and on no account should you expose this information to anyone. Take good care of yourself, i will be waiting to read your urgent reply, please contact the insurance company with the above details as soon as you read this mail. send them mail for more explanation. 223 REGENT STREET LONDON W1B 2QD. WE RECEIVED AN AUTHORIZATION LETTER AND YOUR CONTACT DETAILS FROM SARGENT ANILE WILSON JACK, YOU WERE ALREADY INTRODUCED TO US BY (SARGENT ANILE WILSON JACK, A US ARMY OFFICER) BEFORE YOUR MAIL TO US. SHE INFORMED US TO DELIVER A CONSIGNMENT TRUNK BOX OF HER FAMILY DOCUMENTS TO YOU, THIS SUBJECT CONSIGNMENT BOX WAS REGISTERED IN OUR COMPANY BY JOHNSON DAVID A UNITED NATION OFFICIAL AGENT FROM SYRIA. AS MATTER OF FACT, THE CONSIGNMENT BOX IS READY TO BE DELIVERED TO ANY OF YOUR GIVEN ADDRESS. THE DIPLOMAT WILL BE LEAVING LONDON TOMORROW 3RD OF DECEMBER 2016 AND ARRIVE TO YOUR COUNTRY AUSTRIA ON 5TH OF DECEMBER, THE DIPLOMAT WILL CALL YOU AS SOON AS HE ARRIVES IN YOUR COUNTRY FOR YOU TO SEND TO HIM THE CUSTOM CLEARANCE CHARGES FEE TO ENABLE HIM CLEAR THE CONSIGNMENT BOX FROM THE AIRPORT CUSTOM DUTY BEFORE COMING TO YOUR ADDRESS FOR FINAL DELIVERY. IT IS MANDATORY THAT YOU WILL BE THE PERSON THAT WILL PAY FOR THE CUSTOM CLEARANCE CHARGES WHICH WILL ONLY BE $6,520.00 FROM THE CUSTOM SOURCE INFORMATION GETTING TO US NOW. THE DIPLOMAT WILL CALL YOU AS SOON AS HE ARRIVES TO YOUR COUNTRY TO INFORM YOU ABOUT THE CLEARANCE AND MAKE SURE YOU SEND THE MONEY TO THE DIPLOMAT AS SOON AS HE CALL YOU ON PHONE. I have been given a detail explanation about you from my sister in the Lord Sargent Anile Wilson Jack and she made me to understand about a gift she sent to you that was seized by the custom duty in Sweden, she made me to understand that the total sum of $ 6,520 is urgently needed by the delivery agent of the gift box which she told me that you have no much money with you. through the company that sent the agent. She made me to understand that you will be sending the sum of 40 euros to me today or tomorrow morning for an addition to the amount i will get over here, i told her before to tell you to make the payment to my name but few minutes ago i remembered that i will be busy praying for people tomorrow in my office so i will not have the chance to go out, what you have to do is to send the 40 euros to my office messenger in the person of TONY JEREMIAH ORJI. My phone is ... + 221761229957. I received an sms from you to my phone but i did not know what you said because i can not translate with my phone.